What's a beachtown without a back-to-basics ice cream shop? 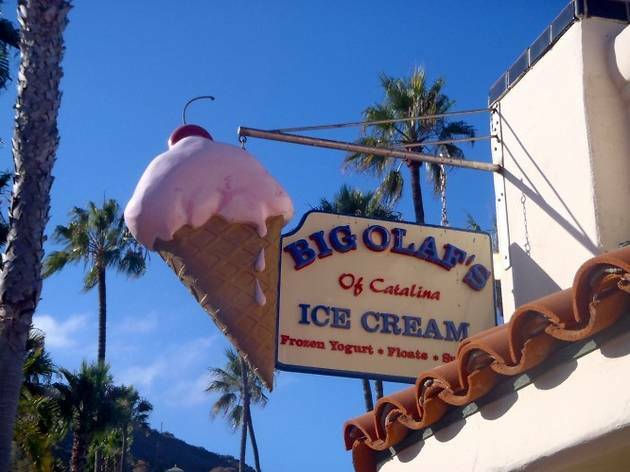 Big Olaf's has scoops of all sizes (Olaf, Big Olaf, Giant Olaf, you get the idea), plus classic root beer floats, shakes, malts, banana splits and even fro-yo. 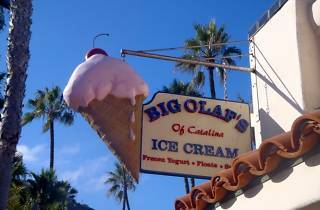 Overall, though, Big Olaf's isn't all that it's cracked up to be. It's not that ice cream doesn't taste amazing when you're steps from the sand—it's that the initial excitement of a beachside scoop shop fades when you realize they're just serving up Dreyer's.